Our vibrant music ministries encourage children, youth, and adults to make a joyful noise unto the Lord. In worship, we include classic, contemporary, Broadway, jazz, world music, spirituals and old gospel music. Come make music with us! 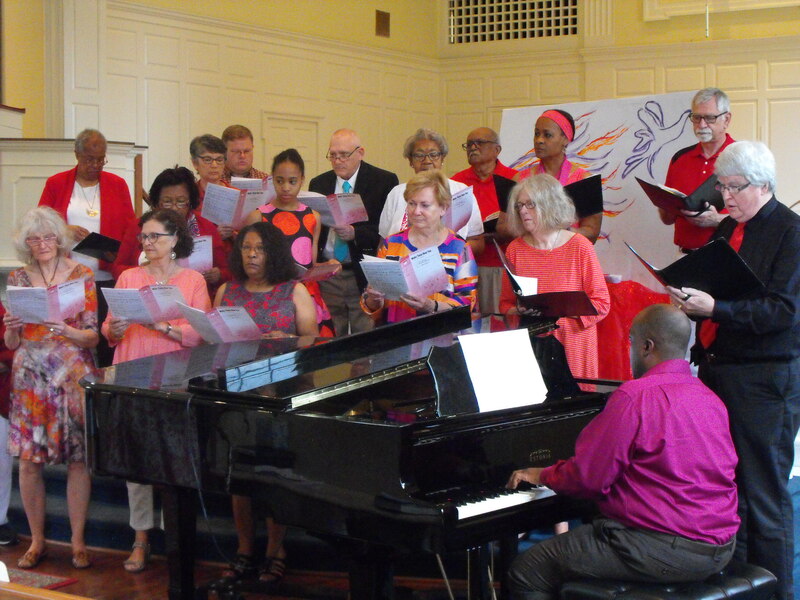 We also sponsor a concert series for the community, featuring both local musicians, often from the Morgan State University music program, and even international artists, such as an organist from Cuba and Indian folk musicians. Come enjoy music with us! Chancel Choir meets Thursdays at 7:30 p.m.
Hand Bells meet Thursday at 6:30 p.m.
Steel Drums – No musical experience is necessary; all ages welcome. Meets Sundays after church.